This triangular shaped grass covered green space forms the meridian on the northwestern corner of Quadra Street and Fairfield Road near downtown Victoria, B.C. 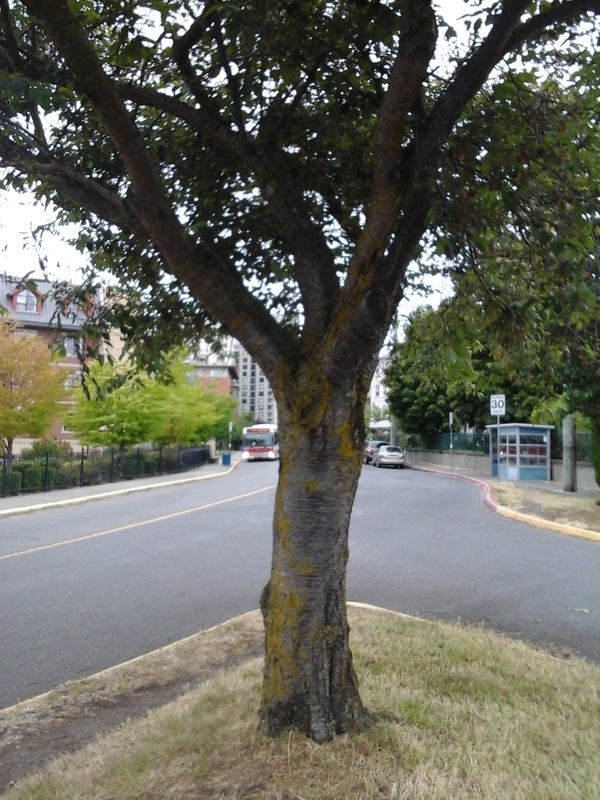 A lovely tree shades the area which also has a five meter pathway that connects to the sidewalks along Quadra Street. This green space adds to urban forest seen in the well established neighborhoods of Fairfield and James Bay. It helps to form a shady and colorful walking route to the green space of Collinson Street, which lies eastward across Quadra Street, and to the gardens of Mt. St. Mary Hospital and St Ann’s Academy. 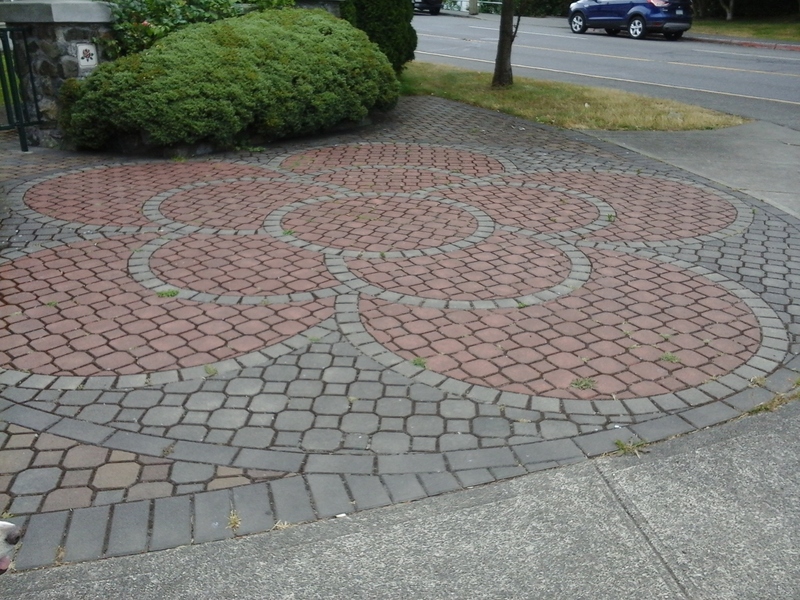 The rose pattern brickwork lies on the corner of Quadra Street and Fairfield Road in front of the Rose Manor, a residential complex. Rupert Street Green Space with a rose garden bed is just up the hill. Another block past that is the Court House Green Space, Christ Church Cathedral Green Space and Pioneer Square Cemetery. Fairfield Road Quadra Street Green Space can be reached from Blanchard Street. Turn left onto Fairfield Road and continue to Quadra Street. Turn left on to Quadra Street and look for the green space along the right. There is limited roadside parking along these streets. City buses travel to the park from downtown Victoria.